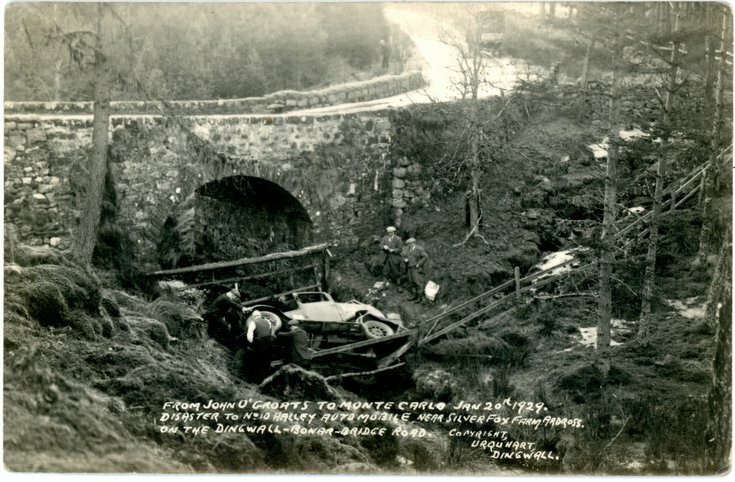 First in a series of three monochrome photographs showing a car which came to grief on the Struie Road on 20th January 1929. The caption on the photograph reads: "From John O'Groat's to Monte Carlo Jan 20th 1929. Disaster to No 10 Halley Automobile near Silver Fox Farm Ardross on the Dingwall - Bonar Bridge Road. Copyright Urquhart Dingwall"